How can you take control of your money? One step at a time! Millions of people have left their money worries behind by working Dave’s Baby Steps. It’s your turn to start managing money the right way. What Are the Baby Steps? Dave Ramsey's 7 Baby Steps will show you how to save for emergencies, pay off all your debt for good, and build wealth. It’s not a fairy tale or a nice story for someone else. This is a proven, practical way for you to change your life step by step. Baby Step 1 Save $1,000 for your starter emergency fund. Baby Step 2Pay off all debt (except the house) using the debt snowball. Baby Step 3 Save 3–6 months of expenses in a fully funded emergency fund. Baby Step 4 Invest 15% of your household income in retirement. Baby Step 5 Save for your children’s college fund. Baby Step 6 Pay off your home early. Baby Step 7 Build wealth and give. Forget everything you know about money-management plans. With Dave’s 7 Baby Steps, you don't need a degree in finance to take control of your money. Anyone can do it! The Baby Steps show you exactly what to do as you pay off debt and build up your savings. With each step, you’ll start changing the way you handle money—little by little. Build momentum with small wins along the way. Make financial decisions with confidence in every aspect of your life. More than 25 years ago, Dave Ramsey fought his way out of bankruptcy and millions of dollars in debt. What he learned turned into Financial Peace University—the program that has helped more than 5 million people change their financial futures and family trees. 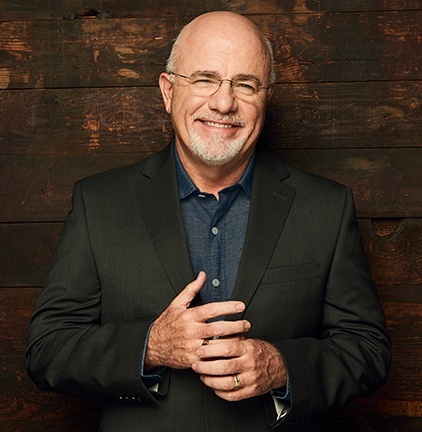 Now, his radio show and podcast, The Dave Ramsey Show, reaches more than 13 million listeners each week. 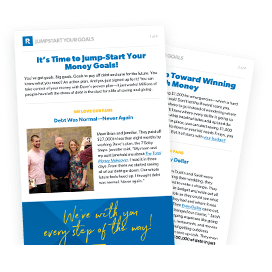 Follow the proven plan that’s helped millions of people ditch debt and build wealth! Financial Peace University is Dave’s nine-week program on money management. It takes you through a deep dive of the 7 Baby Steps so you can make financial decisions with confidence. 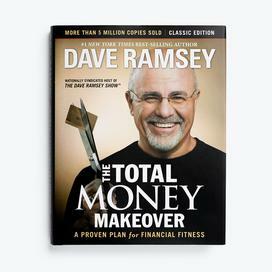 Get Dave’s #1 best-selling book, The Total Money Makeover. It’s loaded with inspiring stories of people who have learned how to manage their money the right way. Sign up for our free 4-day email series with tools and tips to help build momentum with small wins as you work the Baby Steps. What does your dream future look like? You can get there! Just take it one step at a time. The 7 Baby Steps won’t be easy, but they absolutely work if you follow them. We’re here to help every step of the way, but it’s up to you to get started. Are you ready? Start now. Keith and Emily are freaking bosses. They used the Baby Steps to pay off $162,000 of debt in seven years! They stopped trying to keep up with the Joneses and started living on a budget instead. In this first step, your goal is to save $1,000 as fast as you can. (And not just “fast.” We’re talking as fast as you can!) Your emergency fund will cover those unexpected life events you can't plan for. Without an emergency fund, most people feel like they have to go into debt to cover surprise expenses like a busted pipe or medical bills. But not you! You’re not doing debt anymore. Keep your emergency fund in a separate checking account so you won’t spend it accidentally (or on purpose) on things that aren’t actually emergencies. You don’t want to dig a deeper hole while you’re trying to work your way out of debt! So, how do you start the process of saving up for your emergency fund? Step one of step one is to make a budget. Now it’s time to pay off all that nasty debt you’re ready to get rid of. Start by listing all of your debts you owe on outside of your mortgage. The cars. The student loans. The credit cards. The store cards. The gas cards. (Yikes, that’s a lot—but don’t stop now!) Put them in order by balance from smallest to largest. Don't worry about interest rates unless two debts have similar balances—then you’ll list the debt with a higher interest rate first. This is called the debt snowball method, and you’ll use it to knock out your debts one by one. Now it’s time to attack the first balance on your list. Pay as much as you can each month while making the minimum payments on your other debts. We mean go after it! Sell everything you can. Get a second job. Sell so much the kids think they’re next! You want to get rid of that payment quickly. When you’ve paid it off, add those payments to the monthly payment on your next debt and start attacking it. It’s hard work, but this is what winning looks like! The small wins you make at the beginning will keep you motivated to dump all your debt. And before you know it, you’re debt-free! 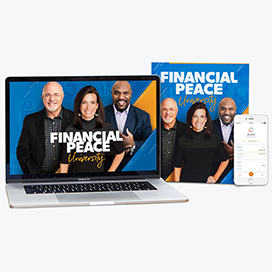 Millions of people have used our proven program, Financial Peace University, to learn how to never worry about money again. You’ve paid off your debt! Way to go! But don’t slow down now. It’s time to take that money you were throwing at your debt and build your full emergency fund to cover 3–6 months of your expenses. We know that sounds like a lot of money, but it should be! You want this to protect you against life’s bigger surprises like the loss of a job or your car breaking down. With that much cash saved up, you won’t have to slip back into debt to cover these emergencies. In this step, it's time to get serious about retirement—no matter your age. This is when you take 15% of your gross household income and start investing it into your retirement. Start by investing enough in your company 401(k) plan to receive the full employer match. Hey, that’s free money! Then invest the rest into Roth IRAs—one for you and one for your spouse (if you’re married). If your company doesn't offer a retirement plan or match your contributions, then go straight to the Roth IRA. We get it. Investing is a boring subject. But when you see your money growing like beautiful weeds, it won’t seem so boring! If you’re not too sure about what you’re doing, an investing professional can help you find the right funds and make sure you’re on the right track. By this step, you've paid off all debts but the house and started saving for retirement. Now it's time to save for your children’s college expenses. (That is if they make it through Algebra II and Chemistry unscathed.) Saving will put you ahead of the game when your teens graduate from high school. (Trust us on this one. It happens fast!) If your kids are already in high school, it’s not too late! You’ll just need to set aside your money a little faster. Two smart ways to save for your children’s college when they’re still little are 529 college savings plans or ESAs (Education Savings Accounts). These options will save you a bundle in taxes and are specifically designed for college expenses. But before you choose either option, do your homework! Depending on your income and what state you live in, a 529 might be better than an ESA. And just like with mutual funds for retirement, an investing professional can help you figure this out. Now it’s time to bring it all home. Baby Step 6 is the big dog! There's only one more thing standing in the way of complete freedom from debt—and that’s your mortgage. Can you imagine your life with no house payment? Any extra money you can put toward your mortgage could save you tens (or even hundreds) of thousands in interest. If you currently have an adjustable-rate, interest-only or even 30-year mortgage, consider refinancing to a 15-year, fixed-rate mortgage. You’ll be amazed at how much you can save in the long run! You know what people with no debt can do? Anything they want! Baby Step 7 is the last (and most fun) step. Now you can live and give like no one else! This is where you keep building wealth and become insanely generous. Imagine what it would feel like to be able to leave an inheritance for your kids and their kids. That’s all possible now because you had discipline for a few years. Now that's what we call leaving a legacy! Your perseverance and good habits are what will get you there. Keep setting goals and budgeting every month. Max out your 401(k) and Roth IRAs so you can continue to live and give like no one else—even in retirement. When you reach your financial goals, help someone else get started on their own journey. One great way to do that is with our most popular bundle, The Starter Special. Jump-start your Baby Steps journey with our free 4-day email series! It's packed with inspiring articles and helpful resources.